The Library and Learning Resource Centre (LRC) provides a service which actively seeks to support students and staff in the process of learning, teaching and personal development, through the provision of high quality information collections and related services. We focus on developing student skills in the areas of finding and using information both in print and ICT based formats and to raise standards of literacy through encouraging students to gain a love and enjoyment of books and reading. 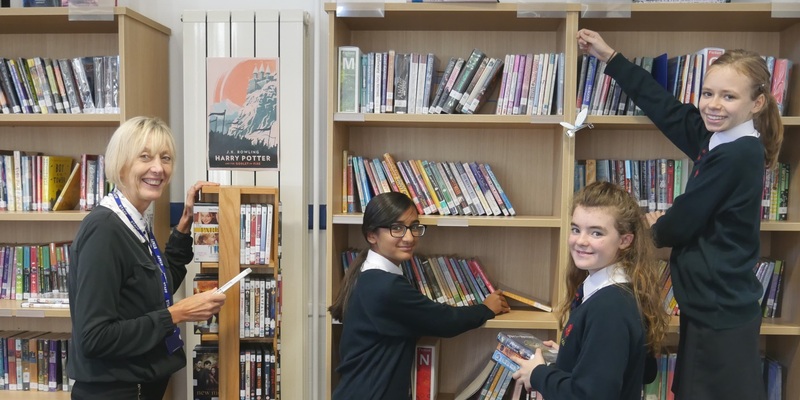 The school Library and Learning Resource Centre forms a valued central resource, providing study and research facilities as well as many additional services for all students and staff. The Library contains nearly 15,000 resources, including books, DVDs, newspapers and magazines, pictures, posters and cuttings files. Eight PCs and four iPads are available for use by students.